Daniel J. Dunn, CLU, CFP® has been a practicing financial planner since 1971 and is the President and CEO of Dunn’s Financial Review, Inc. In 1971, Daniel earned his Bachelor of Arts undergraduate degree in Psychology and Business Administration from Fairleigh Dickinson University in Madison, New Jersey. Since then he has consistently worked in the financial services industry. 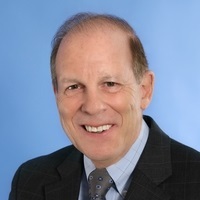 In 1977, Daniel earned his post graduate designation as a Chartered Life Underwriter (CLU) from the American College in Bryn Mawr, Pennsylvania. This designation recognizes Daniel as being properly qualified to engage in the insuring of human life values. In 1983 – after many years of having resolved many financial issues for his senior clients – Daniel began specializing in elder planning. Also in 1983, he received the Certified Financial Planner (CFP®) designation from the College for Financial Planning in Denver, Colorado. 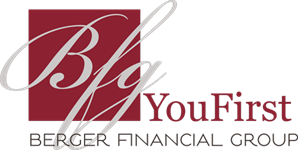 He also received specialty training through The American College and The Society of Financial Service Professionals in the areas of tax planning, retirement planning, estate planning, asset protection planning and probate and trust issues. Daniel conducts numerous workshops during the year to help seniors manage the changes brought on by new laws and other legislative developments. He works closely with Certified Elder Care Attorneys and Certified Public Accountants to make the most effective use of the current laws in providing the maximum benefit to his clients’ wealth and their estates. Using the latest financial and estate planning techniques, Daniel’s goal is to design and help implement customized plans that will reduce financial risk, lower taxes, avoid probate and whenever possible, protect his clients' assets from expensive nursing home costs and creditors. The result...Common Sense Planning with Uncommon Results. Daniel and his wife, Connie, have been married for 43 years and are the proud parents of three children – Jessica, Katelyn and Michael, and four grandchildren. He has served the Morris, Warren and Somerset counties in New Jersey for many years in various capacities including Rotary, Knights of Columbus, Youth Camp Coordinator and Director of St. Jude’s Catholic Church Finance Committee.